L3595, Korea "Kim's Journey for Learning, 95th Anni." 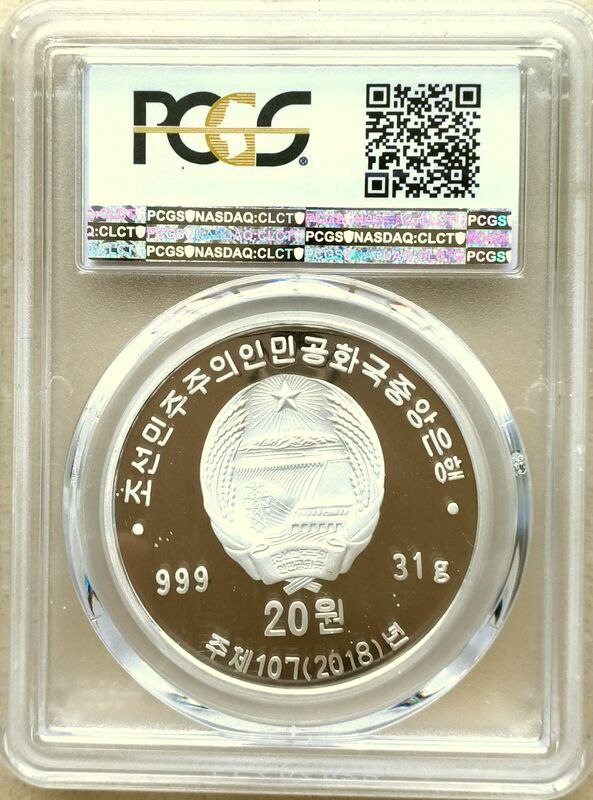 Silver Coin, 2018 PCGS68. Proof condition. Silver. 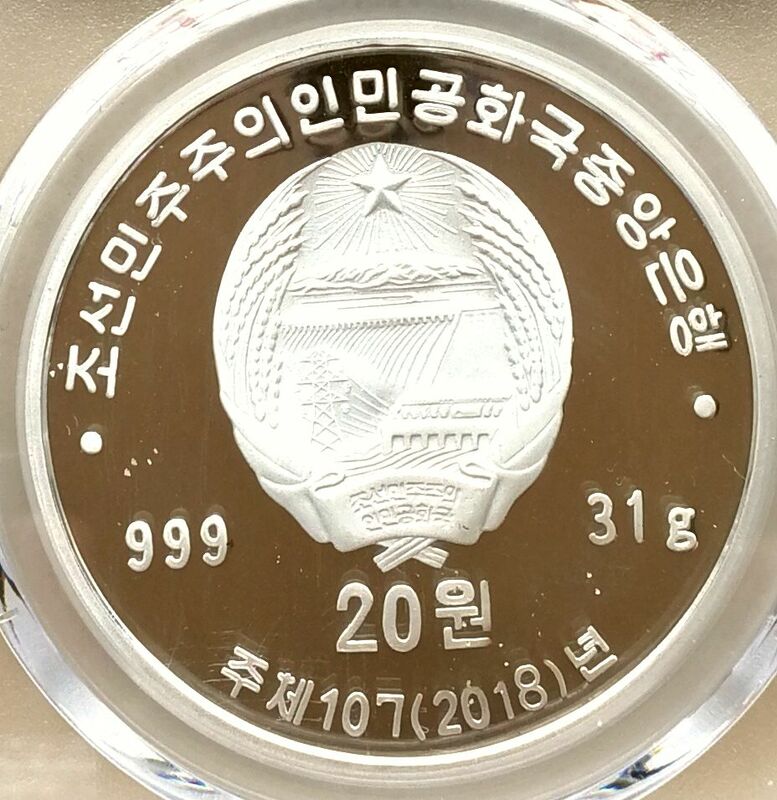 31 grams silver coin. 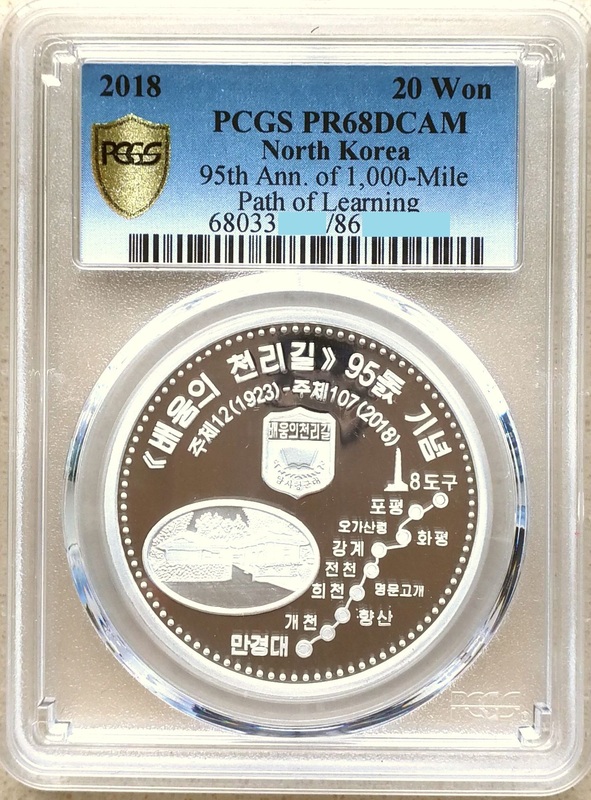 PCGS68 DCAM. 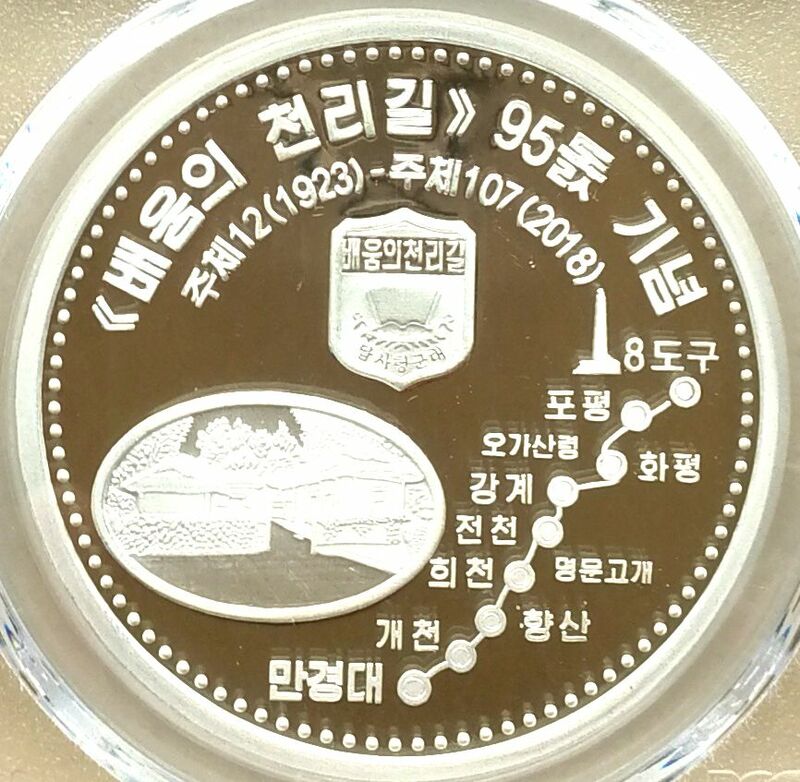 Issued by Korea in 2018, 1 pcs silver coin of "Kim Il Sung 250-Mile Journey for Learning, 95th Anniversary".